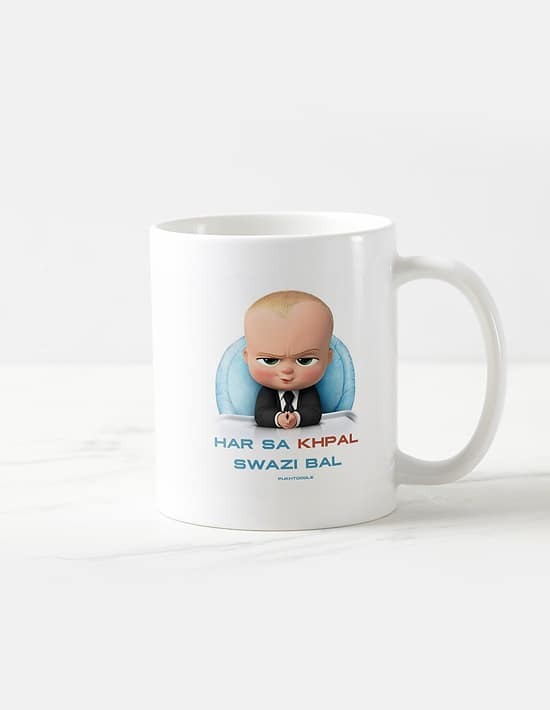 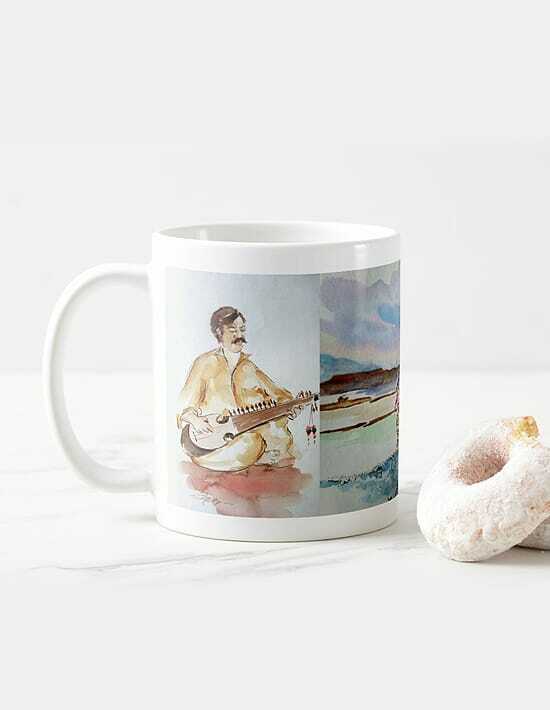 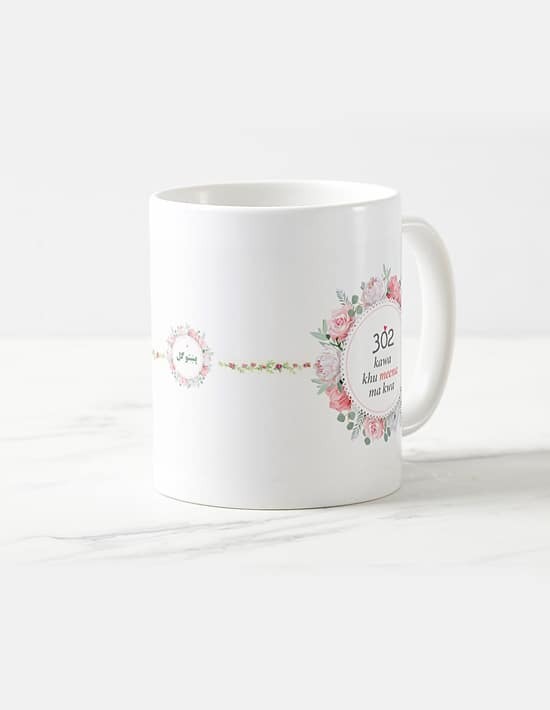 With an attractive gift pack, this printed mug will surely fetch you compliments. 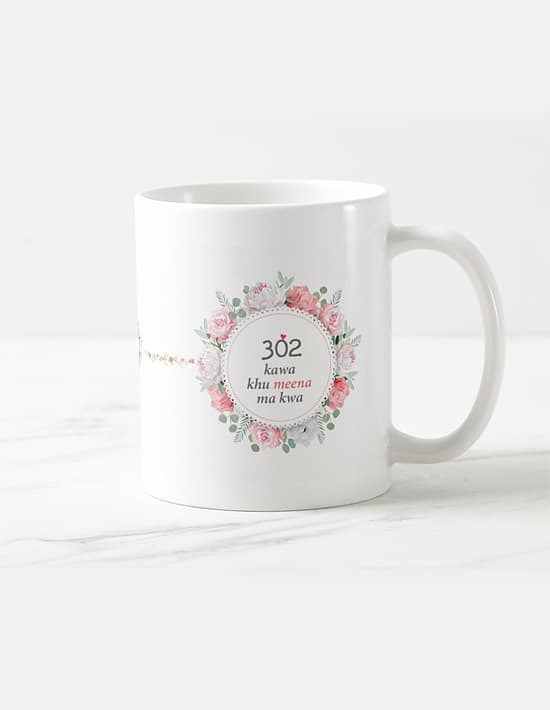 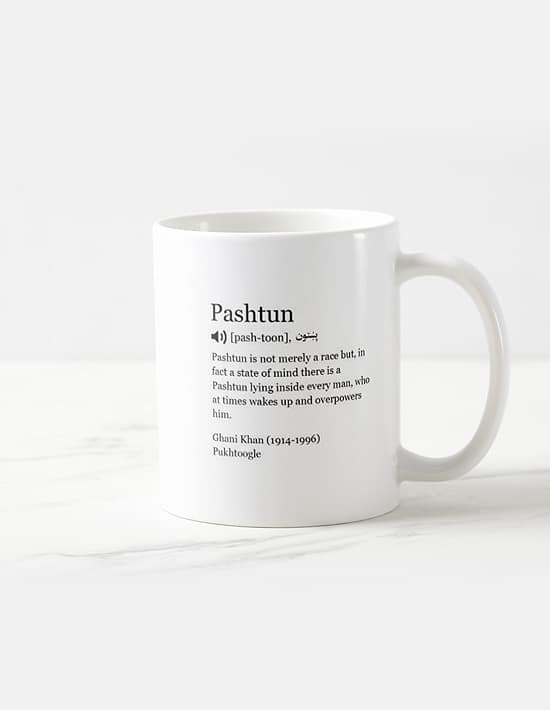 This printed mug comes with a floral print to add to its elegance along with very funny Pashto text. 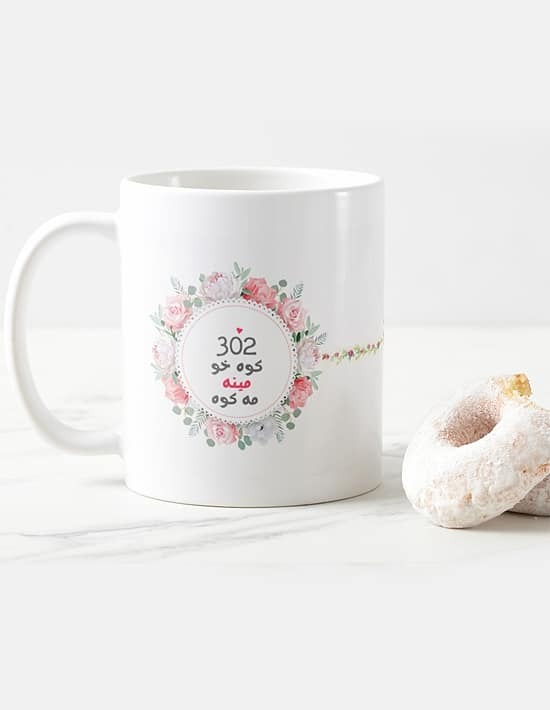 302 kawa khu meena ma kawa all the way from Pekhawar.